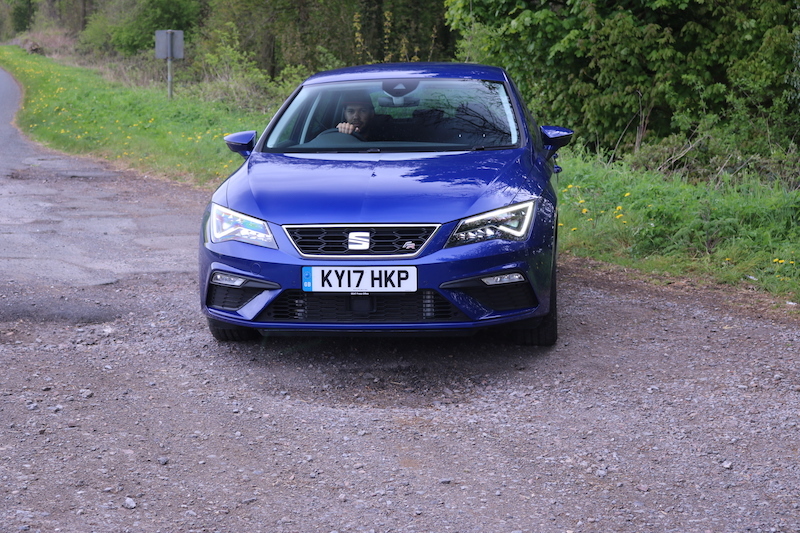 Hopefully you would have seen my article in which I drove the SEAT Leon XCELLENCE, well after that I jumped in to the 1.4 litre FR model. Sadly I didn’t get a chance to drive the 1.8 model as that would have made a good comparison for the Kia Pro_Cee’d GT I’ve been testing this week. Nonetheless, I was able to give it a good spin and see what the 1.4 model was like. What Kit Does It Have? As standard, the FR comes with twin exhaust pipes, Full LED headlights, foglights, dark tinted windows, FR styling, SEAT drive profile, 8″ colour infotainment system with DAB radio, Bluetooth and sat nav, air conditioning, rear parkings sensors, USB/aux ports and cruise control to name but a few. 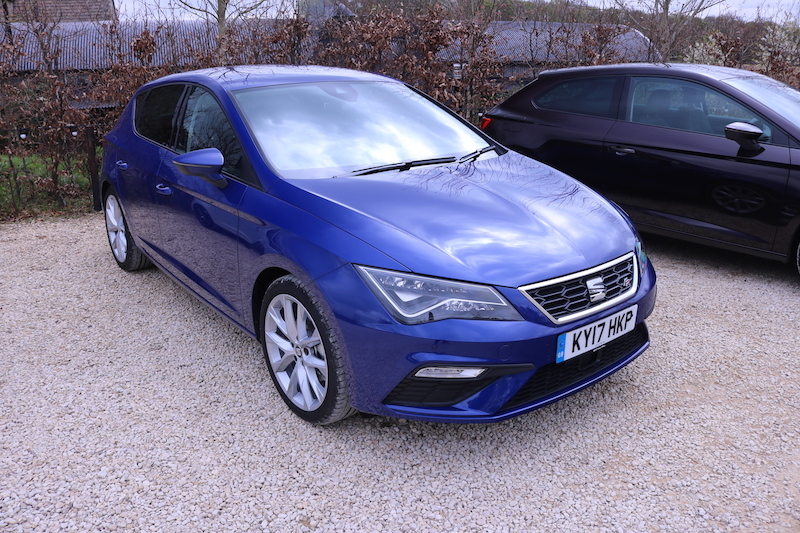 The standard cost for this model would be £21,350 although the model tested had a plethora of options including that lovely ‘Mystery Blue’ paint, rear view camera, keyless entry, 18″ alloys, SEAT Sound system, plus a few driver packs. This means the total cost of this particular model is a rather hefty £25,595. 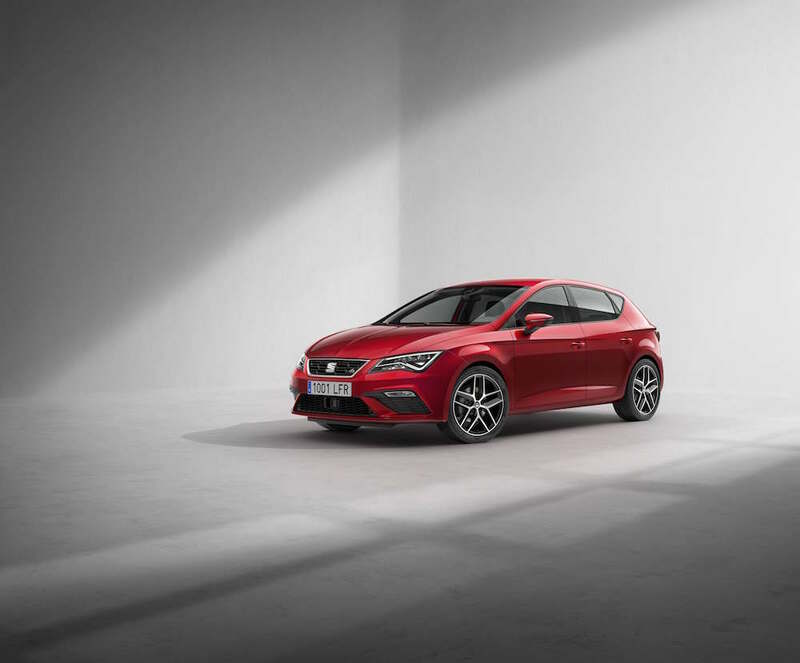 The FR, or the FR Technology to give it its proper name, is towards the higher end of the Leon range and sits below the Cupra in regards to performance. 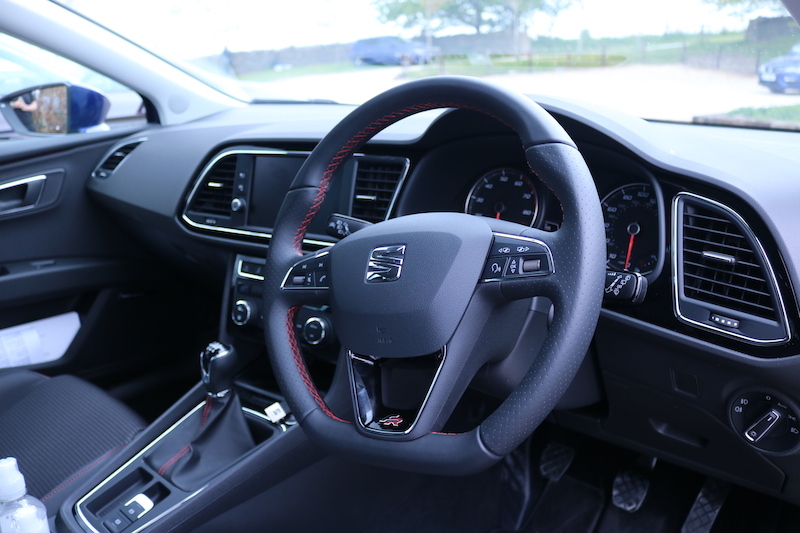 It’s offered with either a 1.4 litre TSI engine which produces 148bhp or a 1.8 litre TSI offering 178bhp. As mentioned, I tested the 1.4 litre, which is mated to a 6-speed manual gearbox, although you can specify a DSG gearbox if desired. With the 6-speed manual, you’ll be able to get to 62mph in 8.0 seconds with a top speed of 134mph. Opt for the 1.8 and you’ll see an improved 0-62 times of 7.5 seconds and a top speed of 140mph. So not a great deal in it then in regards to performance figures. I have a 2006 Ibiza FR, so I was looking forward to seeing what the newer version of its brother was like. Step inside the FR and you will find a sportier interior than that of the XCELLENCE thanks to plenty of red stitching and an FR logo on the steering wheel. 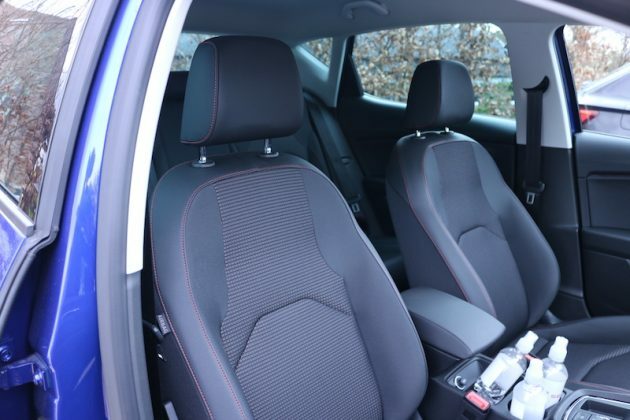 This model also has sports seats, but I somehow found them less supportive than those fitted in the XCELLENCE and I found I slid about a little when I was pushing hard. Apart from that small gripe, the inside is a nice place to be and I much prefer the black gloss finish on the dash compared to the silver trim in the XCELLENCE. Well, the 1.4 litre petrol offers near identical performance to the 2.0 litre diesel I made use of in the XCELLENCE and in fact they both have the same speed of 134mph. The FR is 0.4 seconds faster in its sprint to 62mph though. The diesel offers more torque though – 340Nm compared to the 1.4 litre’s 200. 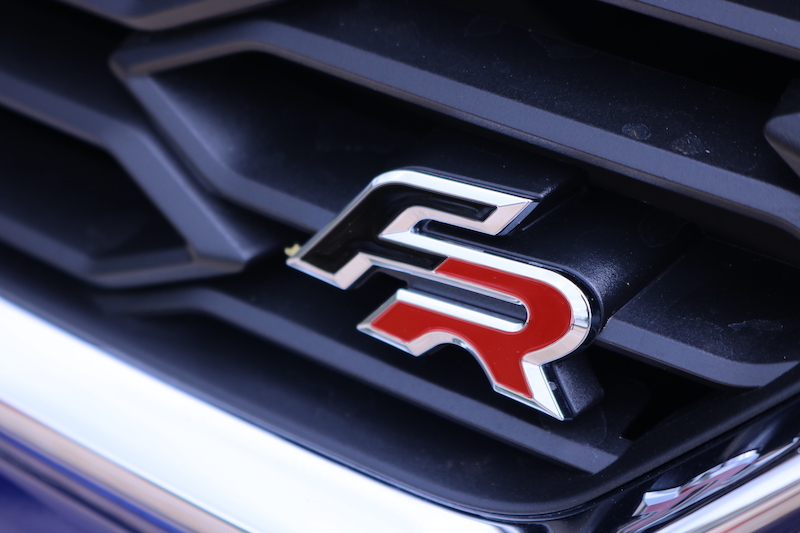 The FR features sports suspension but it’s still comfortable enough when you don’t want to exploit the car’s performance. That moment when you want to drive off but your photographer hasn’t finished! 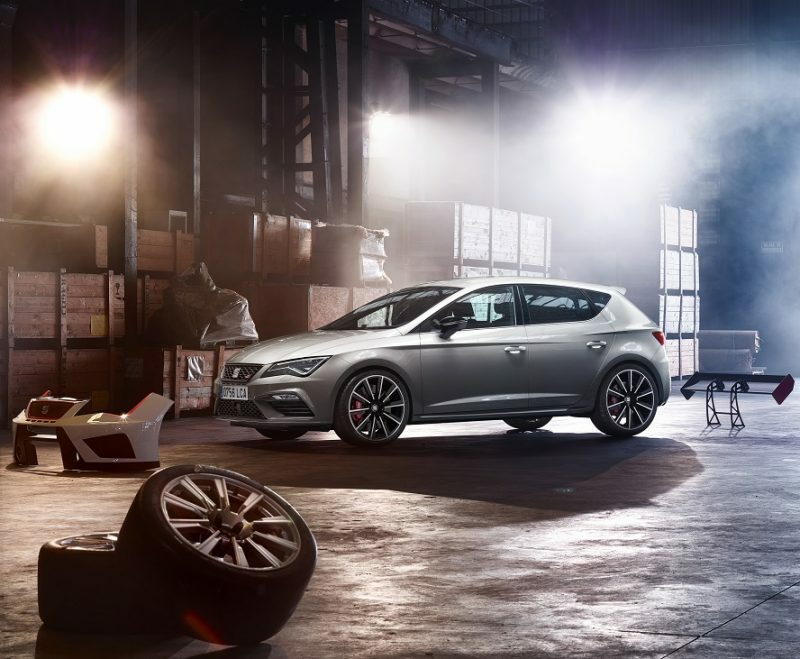 It’s worth noting that the FR is not about out-and-out power though, that’s what the Cupra is for of course. Still, you can make some decent progress from the FR, but I was hoping there would be a bit more noise from the engine as it felt a little muted for my liking. Perhaps this area is improved with the 1.8 litre engine. The 6-speed manual in which the engine is mated to is very pleasant to use and the pedals are well spaced out, although I would have liked sports pedals in this model if I’m going to be super picky. Either way, it’s a pleasurable experience to change gear. The car handles well and it has plenty of grip, but overall I felt like the car was missing a spark. Maybe it’s the engine, or the fact that I couldn’t gel with it on my short drive, but I must confess I was looking for a bit more from the FR model. Thankfully though, I saved the best until last – the Cupra 300. Keep your eyes peeled for that article when it comes along!